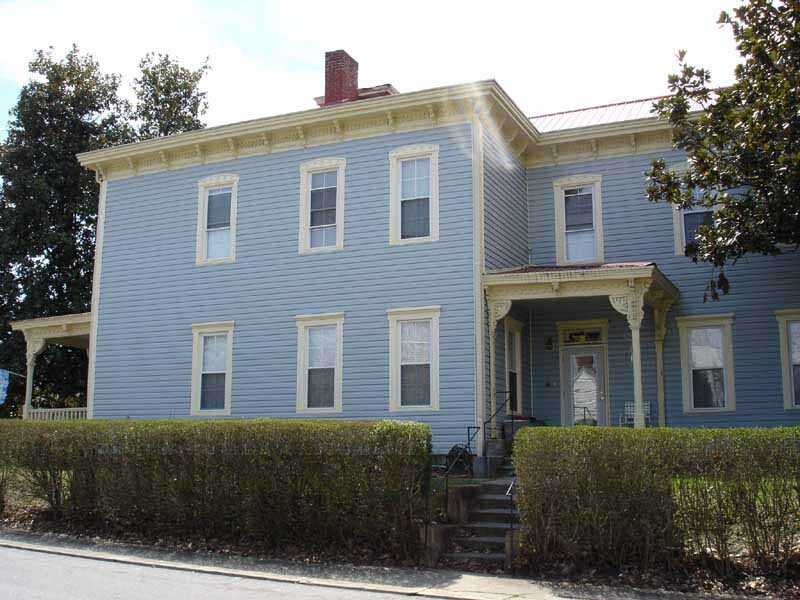 Henry Johnson and his Associates are pleased to respond to several questions readers have raised related to Johnson City historical events, legends, folklore, and trivia. 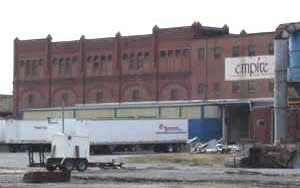 Many legendary stories such as "Little Chicago" are based primarily on oral history but several new items have been discovered and are on file here at the Depot. 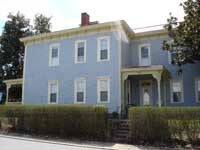 It is hoped that some of the questions and long-standing mysteries mentioned here will stimulate additional research into the unique town that grew up around Henry Johnson's Depot. 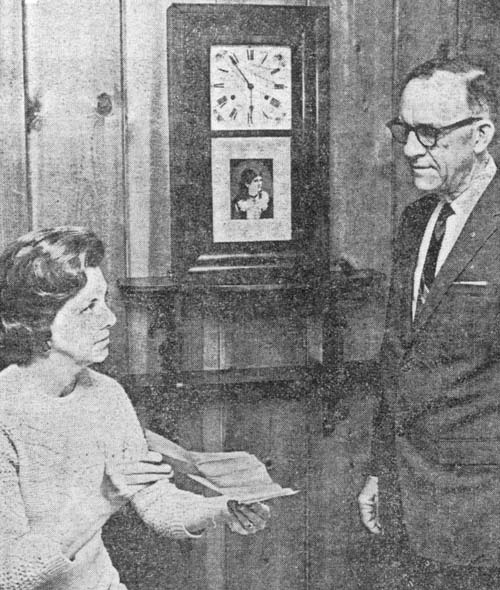 Already researchers have debunked one or two long-held "tales about town" via records and documentation from the Archives of Appalachia. Your sharing of postcards and other items from your local collections is greatly appreciated and positive comments have been received from former residents and genealogists throughout the nation. 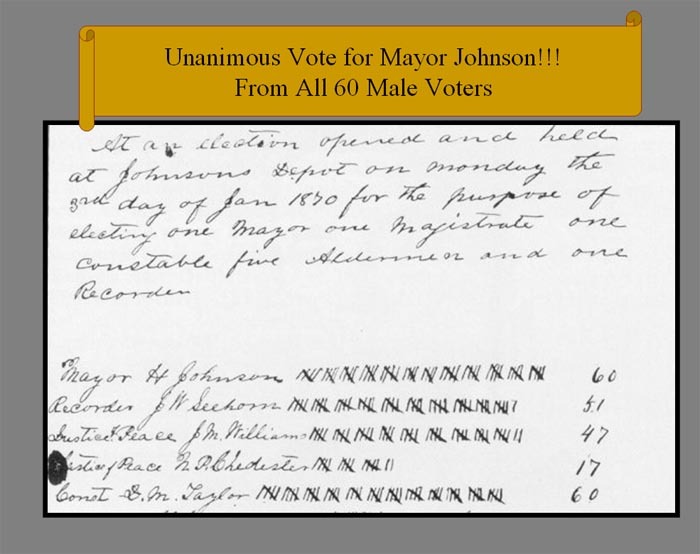 Was Henry Johnson really the unanimous choice for Mayor of Johnson City? Where was the original Carnegie Hotel? 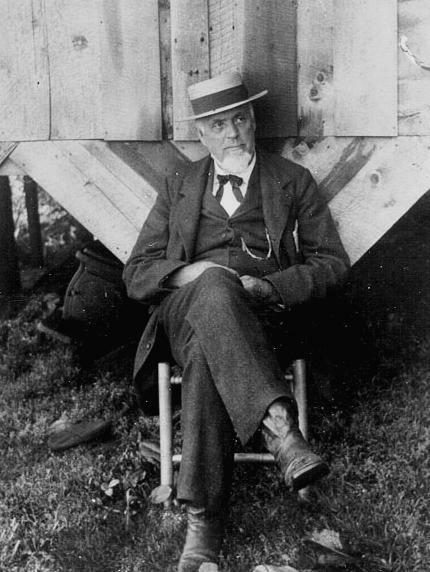 Was Johnson City almost renamed "Carnegie" for Andrew Carnegie? Did two brothers from Johnson City compete against each other for Governor of Tennessee? Who was the toughest man in Johnson City? When was President Benjamin Harrison's visit to Johnson City? 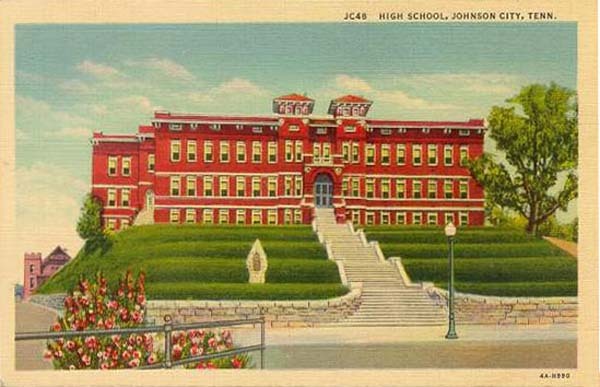 Was Johnson City the first site chosen for the National Soldiers Home in Tennessee? 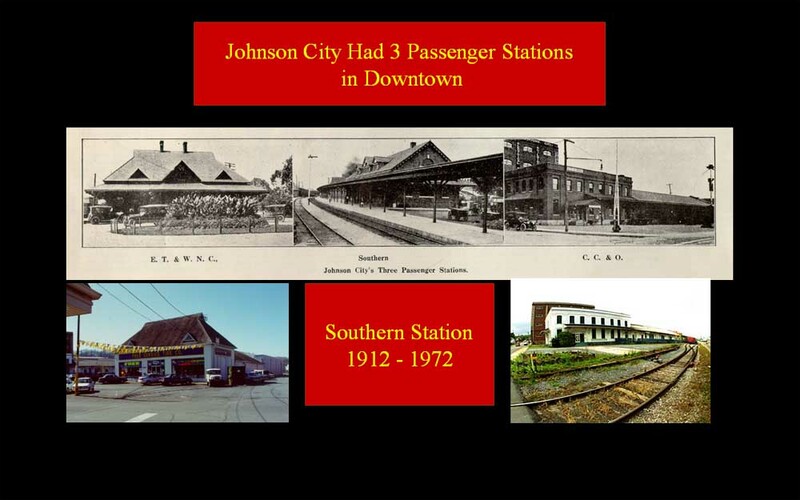 Why were there three passengers depots in Johnson City instead of a larger one serving all three railway systems? 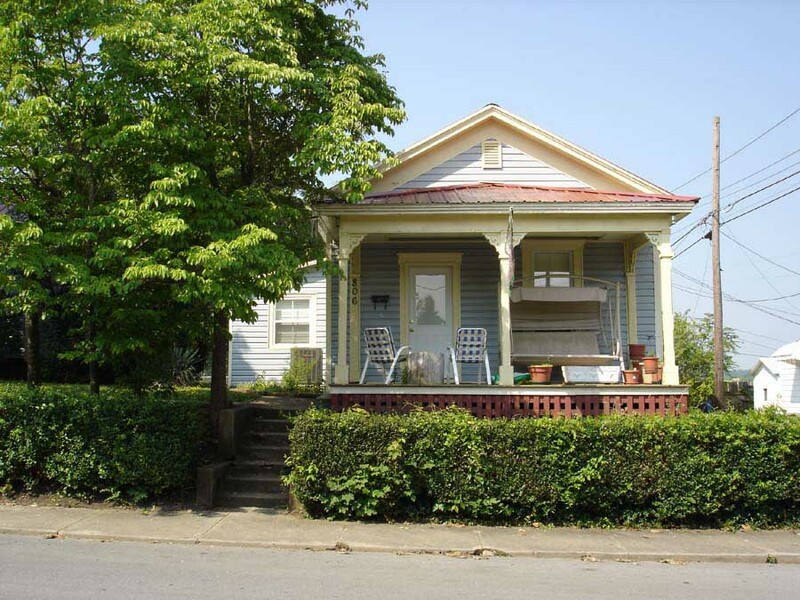 Where did General John Wilder reside in Johnson City? How many children did Henry Johnson have and what were their names? Have the Johnson Associates discovered any surprising previously unknown facts about Henry? 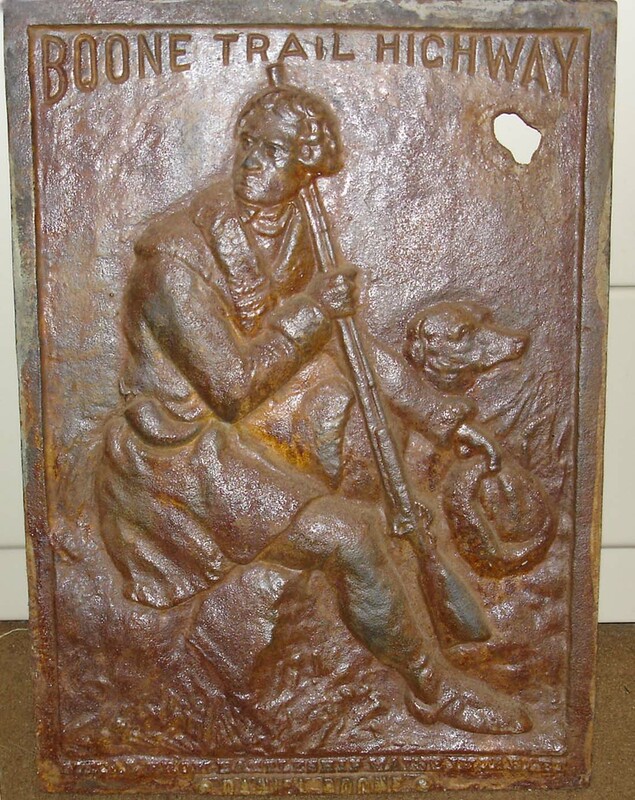 Whatever happened to the Daniel Boone Trail marker formerly located at the old Science Hill High School? If you did not find the answer to your question, from time to time Henry will check his e-mail and may choose to add questions to this page. To forward a comment or question to Henry or an Associate, e-mail your questions to henry@johnsonsdepot.com. Yes. Henry received all 60 votes (from the registered male voters) in the election of January 3, 1870. You can view the official election tally here. The original Carnegie Hotel stood on the site of the former Empire Furniture Company at 1200 East Fairview Avenue. 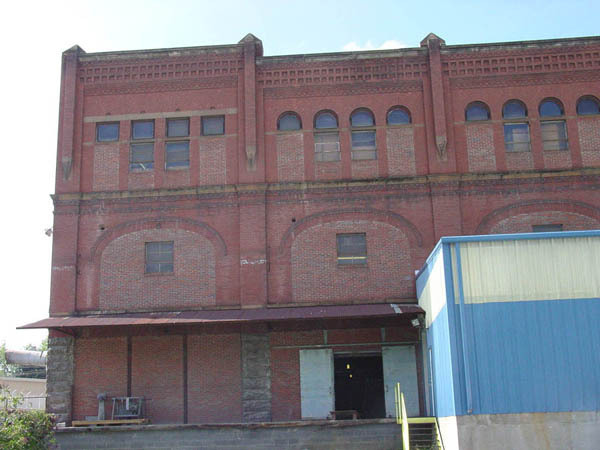 This property now is part of the American Water Heater manufacturing complex (division of A.O. Smith Company. 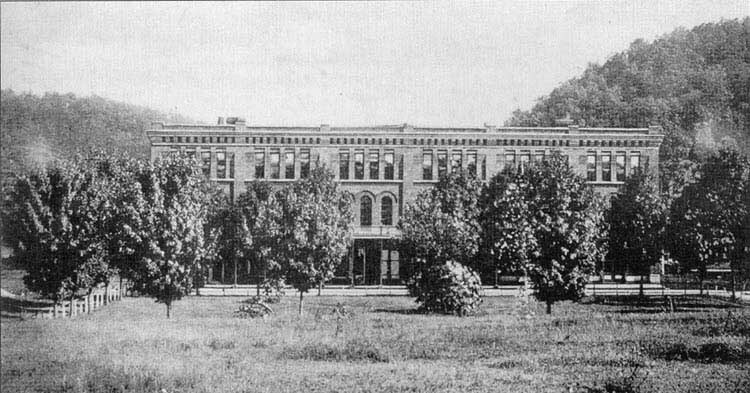 Research at the Archives of Appalachia and the discovery of an obscure photograph (See Enhanced Version)from the Burr Harrison Collection plainly reveals that contrary to what was previously reported here, the ruins of the Carnegie Hotel were not incorporated into the Empire Furniture Company Building(s) on Fairview. 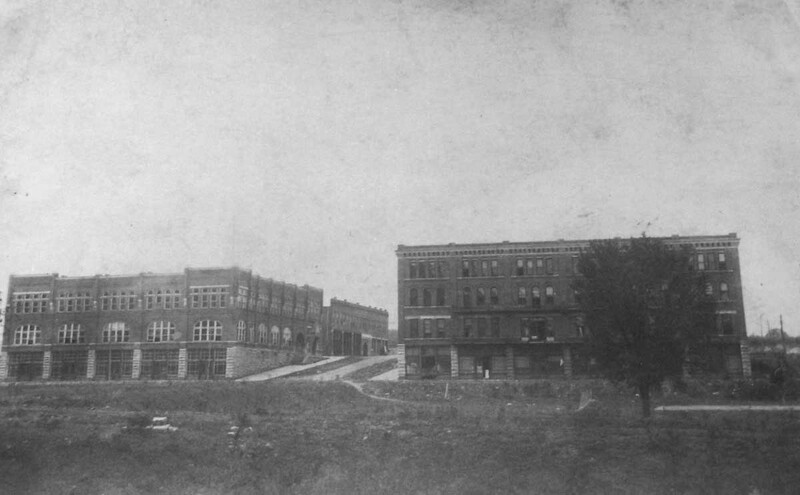 In the photo, the Carnegie Hotel is the building shown on the right. 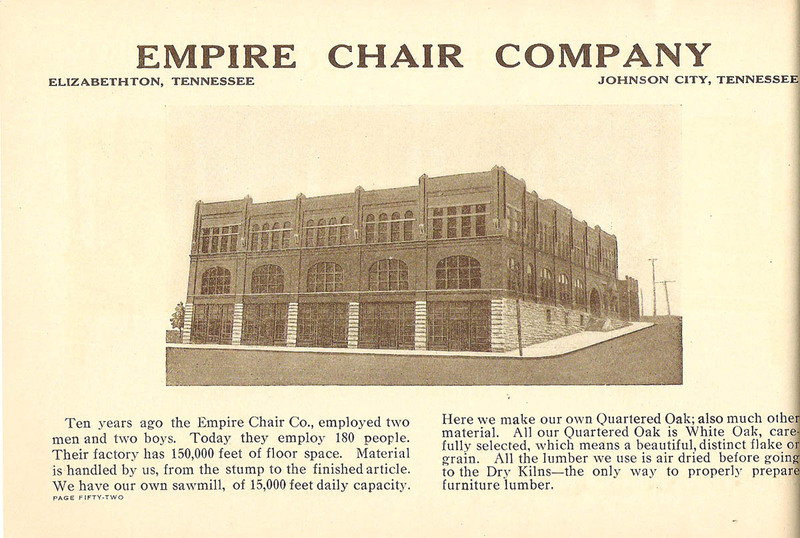 See 1917 ad for Empire Chair Company. See 1928 photo of Empire Furniture. 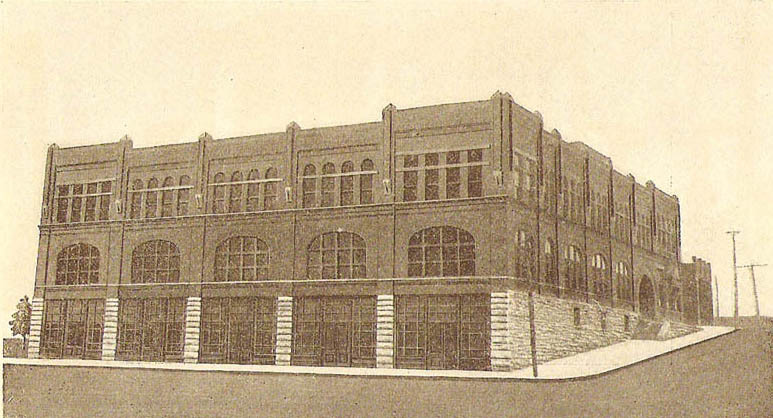 See 1930 photo of Empire Furniture. 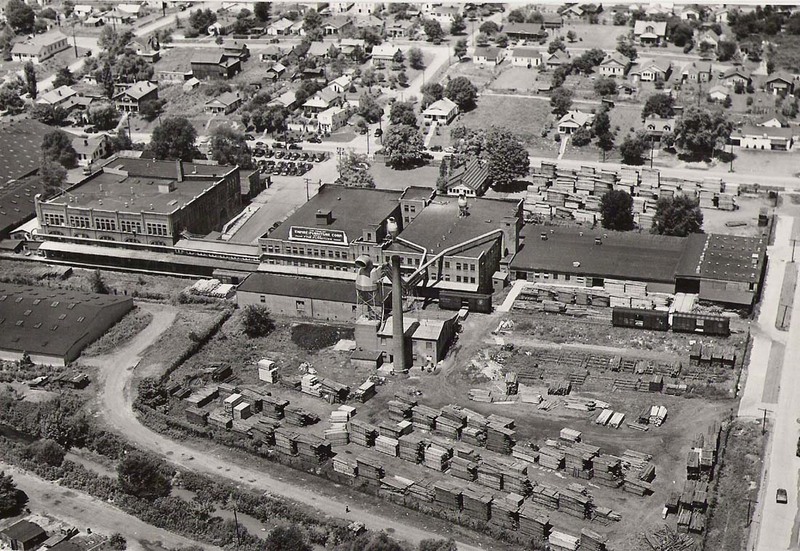 See 1950 aerial photo of Empire Furniture. The building shown in the photos below is the South and Western Railway office building (later Clinchfield Railroad) which looked very similar to the Carnegie Hotel and was across the street from the Carnegie. This map shows the locations of the buildings (only Broadway of the streets shown still exists today). 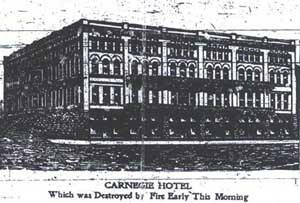 The Carnegie Hotel did burn to the ground in 1910 and nothing was salvaged. Read news account of the fire. The accounts shown below stands corrected based upon the collaboration of the Archives of Appalachia staff. Note: The following statements have been proven incorrect. 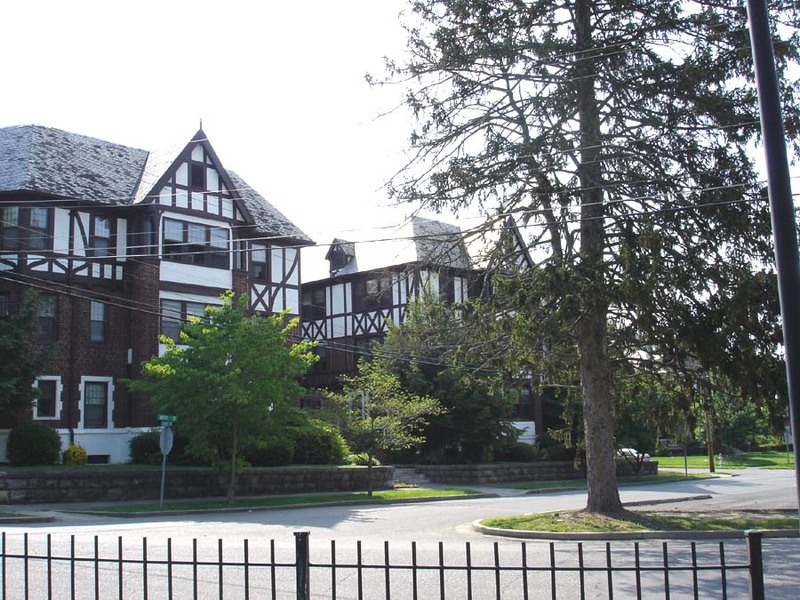 The ruins of the original Carnegie Hotel, built in 1891 by Civil War General John Wilder, still exist and are discernable today. 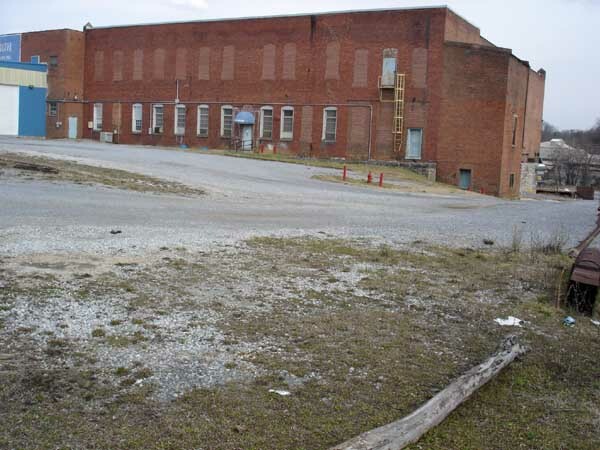 The hotel was not rebuilt after a fire in April 1910 and the shell of the hotel building (possibly half of the original structure) was salvaged and used (until 2004) as warehouse space for the Empire Furniture Company located at 1200 East Fairview Avenue in Johnson City. 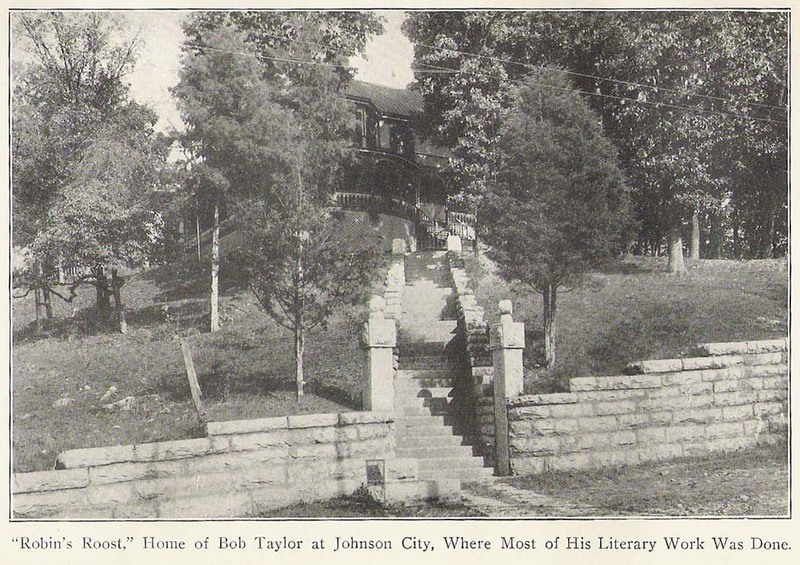 Ray Stahl's book Greater Johnson City: A Pictorial History (published in 1986) also concluded that "The Hotel Carnegie burned around 1909-09 and was not rebuilt. 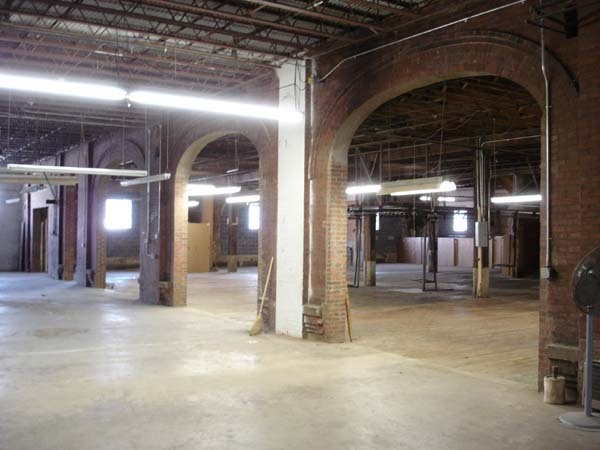 The Empire Furniture Company now uses the shell of the building for a warehouse." 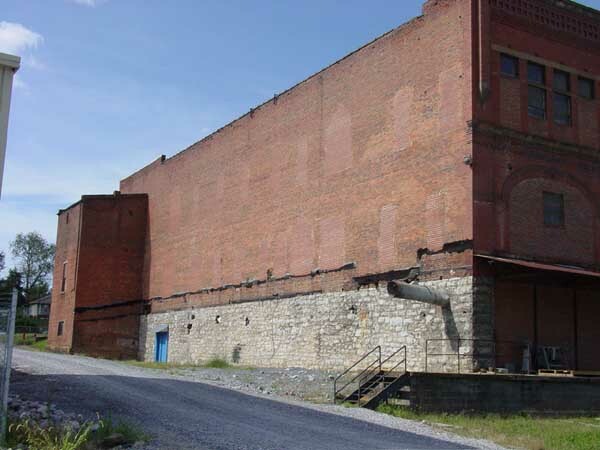 Update: the old warehouse structure used by Empire Furniture Company has now been identified as the South and Western Railway Building and not the Carnegie Hotel. The resemblance and design of the buildings is striking and the longstanding debate over whether or not part of the old Carnegie Hotel had been salvaged after the devastating fire of 1910 is now resolved. 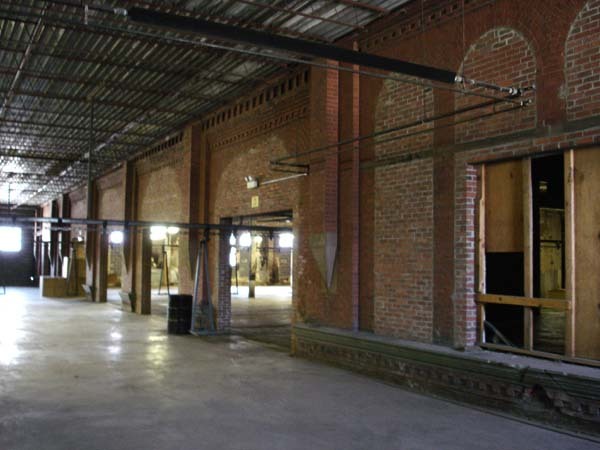 Remaining portions of the South and Western Railway Building were demolished in 2008. The hotel cost from $125,000 to $150,000 to build and was a luxurious facility for its time. The present Carnegie Hotel built in 2001 across from East Tennessee State University was inspired by the original "railroad baron's hotel" from the 1890s when Johnson City and the Carnegie section were "boom towns" spurred by speculation from railroad and mining interests. 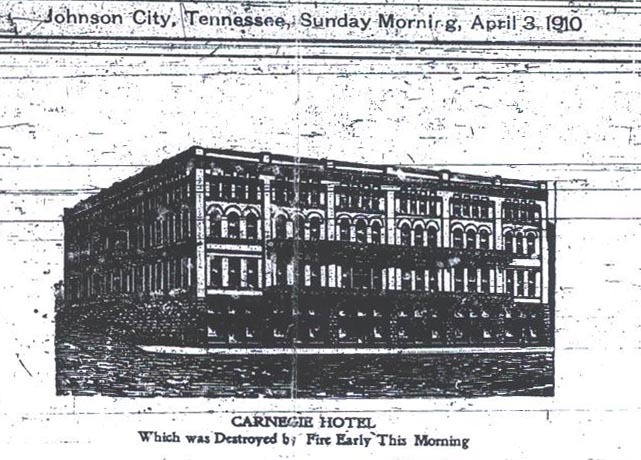 Read the Johnson City Comet 1891 news article on the construction of the Hotel Carnegie. Note: The Empire Chair/Furniture Building above originally was the South and Western Railway office building located adjacent to the original Carnegie Hotel (destroyed by fire in 1910). Note: Remaining portions of this building were demolished in 2008. There are several historical accounts that support this claim. In a study of "Carnegie Libraries in Tennessee, 1889-1919" it is reported that industrialist Andrew Carnegie (1835 - 1919) funded the construction of at least nineteen libraries and several educational buildings in Tennessee between 1900 and 1919, including one at the National Soldiers Home in Johnson City. "One library that did not get built would have been a $100,000 facility in Johnson City. The citizens refused the offer in 1889 because it would have required them to rename their town after Carnegie." 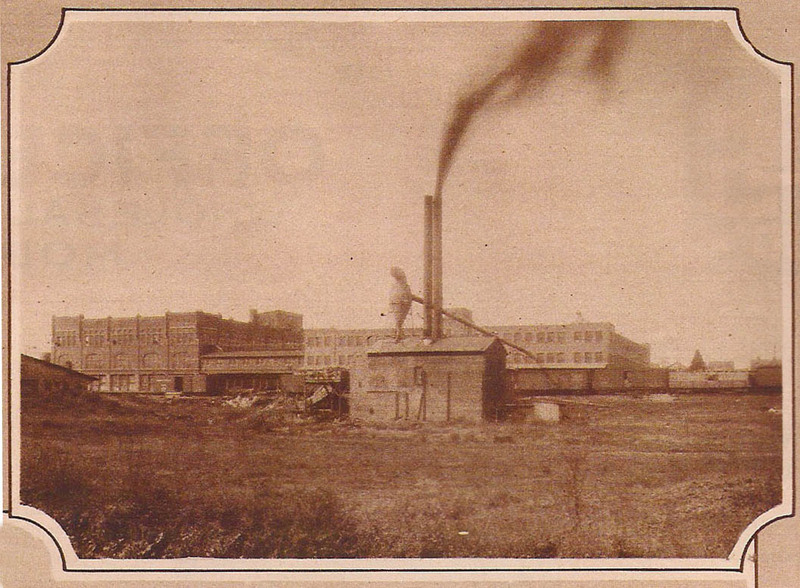 Another account states that Carnegie offered to build a large steel mill if Johnson City changed its name to "Carnegie." Both these accounts could have some validity based upon Carnegie's other ventures during the same time period. "The second Carnegie Library was given to Braddock, Pennsylvania in 1889, which housed one of Carnegie Steel Company's major steel mills, the Edgar Thomson Works. 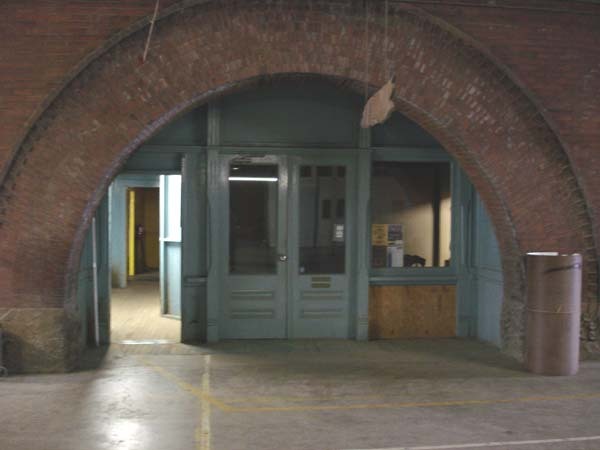 Since this library primarily served the employees of the Carnegie Steel Company, and their families, the company funded the library." 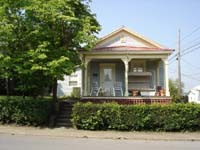 The Johnson City Comet news articles from 1889 are reprinted here. These items need to be researched in much more detail. 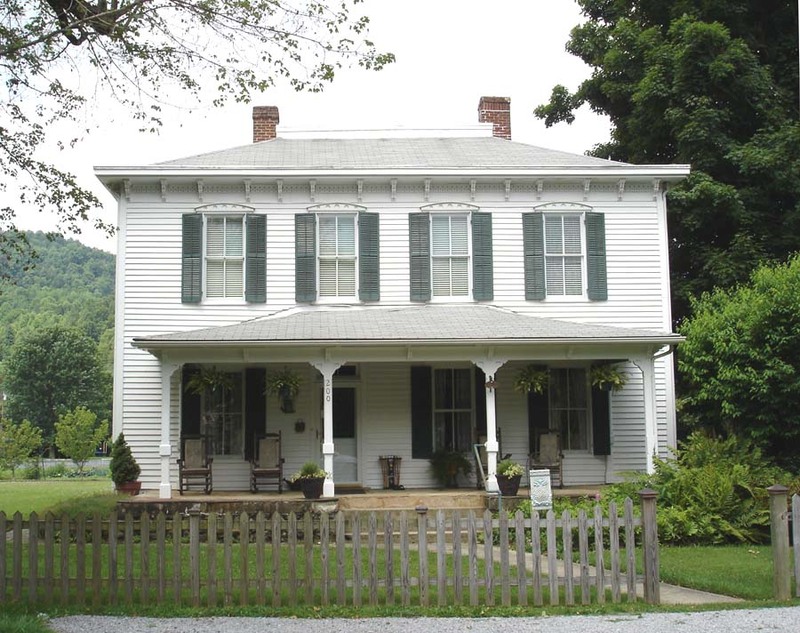 It is curious that Civil War General John Wilder named so many of his railway properties in eastern Johnson City after Andrew Carnegie in the late 1880s and early 1890s and the exact association between Wilder and Carnegie, if any, is not clear. General Wilder was quite an enthusiastic promoter and some historians have thought he might have been only trying to use Carnegie's name to stimulate interest from additional investors from throughout the nation. 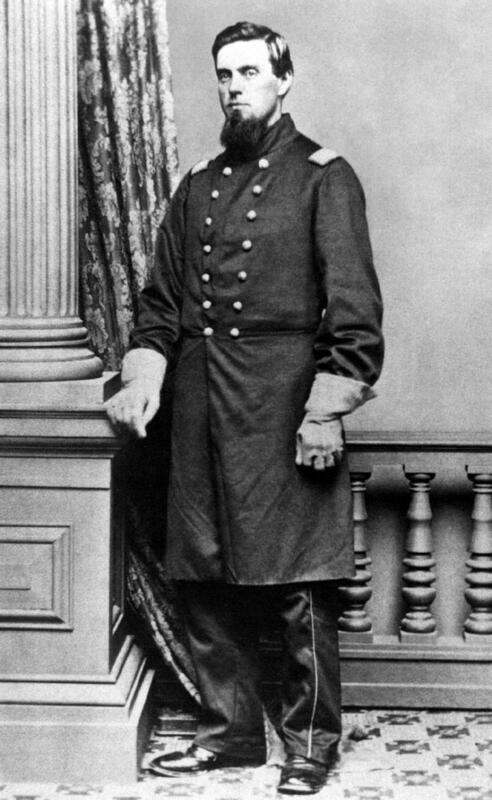 Union Civil War General Clinton B. Fisk (benefactor and namesake of Fisk University in Nashville) was another northern capitalist and railroad developer said to be an investor in mineral extraction interests around Johnson City during the boom years of the late 1880s. Andrew Carnegie was the richest man in the world and basically controlled the U.S. steel industry during the late nineteenth century. It would be consistent with the aggressive nature of Carnegie's steel industry acquisitions of the period, that Johnson City's boom era of mining, railway, and iron/steel activity attracted his attention and some level of interest was there, even to the degree of being a partner, possibly through another name or company. John Wilder's previous success in developing Chattanooga's industries and his international fame as an expert in manufacturing (he hosted a visit to Johnson City by the British Duke of Marlborough to view the Cranberry Mines, for example) placed Wilder in the circles to easily have association with Andrew Carnegie. 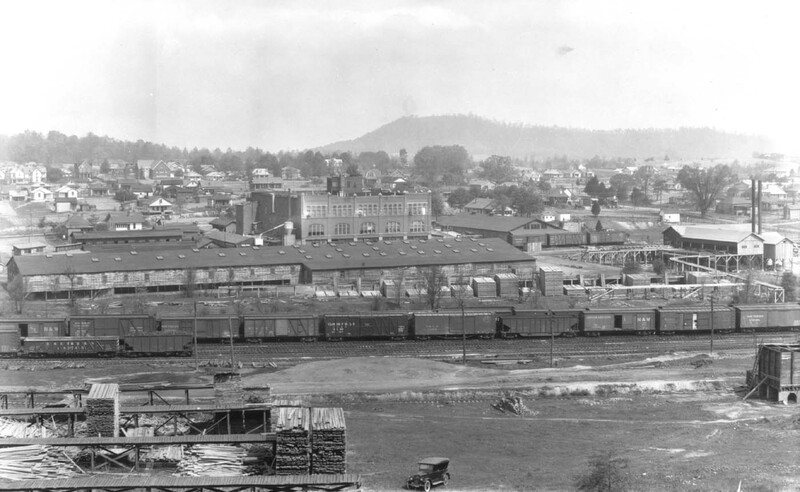 The concept of Johnson City as a major center for steel and iron production became moot after the financial panic of 1893 when John Wilder lost his fortune and many railway and related companies failed nationally. A close parallel to the railway collapse of the 1890s was the "dot-com" financial collapse a century later. Read a biography of General John T. Wilder. Yes. In the 1886 election for Tennessee's Governor, the Taylor brothers, Robert (Bob) and Alfred (Alf), ran against each other prompting the "War of The Roses" campaign that gained national attention. Democratic supporters of Robert L. Taylor wore white roses and Republicans supporting Alfred sported red roses. Farmers' support for Robert Taylor helped win him the election. Alf later was elected Governor of Tennessee in 1920. 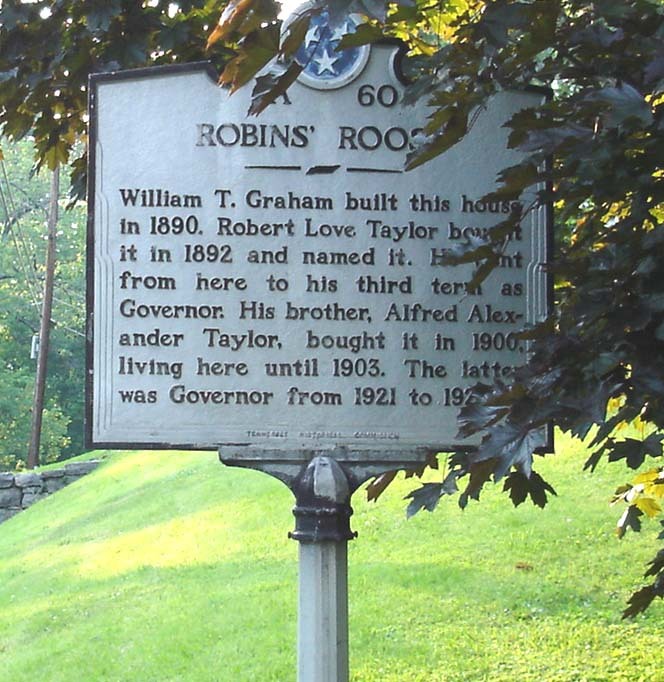 The Taylors were natives of Carter County but both owned and lived in the home at 1309 South Roan Street in Johnson City (at different times) nicknamed "Robins' Roost". Bob Taylor was one of the original founders of the Johnson City Comet newspaper, an attorney, and a United States Senator, and possibly the most charismatic politician in Tennessee history. Who was the toughest man to reside in Johnson City? Interesting question Mike. 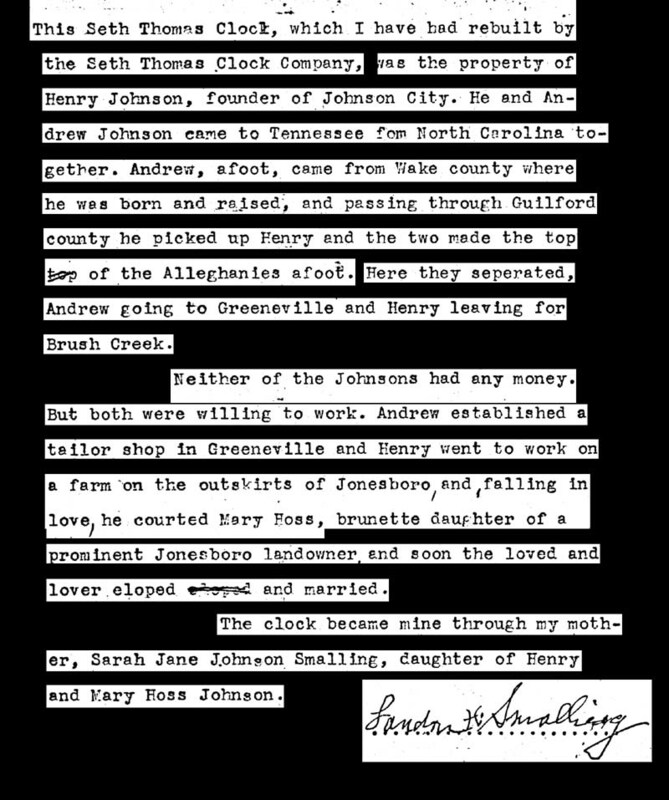 This is a little too subjective for either Henry or the Associates to tackle but we shall offer these comments: Henry reports that in his opinion Johnson City took a backseat to Jonesborough in this regard. Andrew Jackson as a young attorney and judge in Jonesborough was absolutely fearless and it was not uncommon for law offenders to turn themselves in rather than have Jackson come looking for them - with or without deputies or a posse. 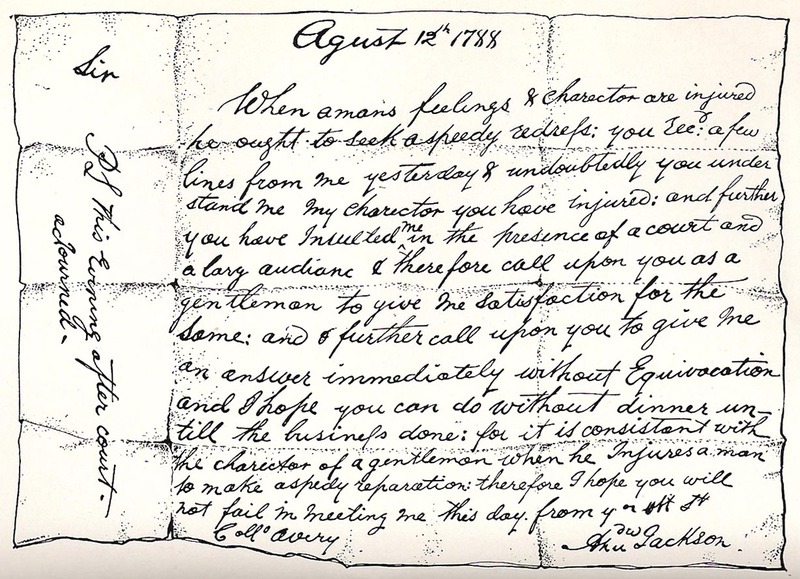 Jackson also challenged the noted attorney Waightstill Avery to a duel in Jonesborough but the issue was resolved satisfactorily without bloodshed. Legend places Alphonse Capone in Johnson City as an occasional (?) guest of the John Sevier Hotel and the Montrose Court Apartments, so in the 20th Century some support might be given to Capone. Al Capone used Johnson City as a mid-point stopover between Chicago and Miami, but of course Capone's travel itinerary is basically undocumented. The Appalachian Mountain region and its native moonshine industry were key elements in the supply chain of illegal alcohol during the Prohibition years with Johnson City being a natural geographic and transportation hub for these activities. Daily reports from The Johnson City Staff-News, vividly recount Johnson City during the Roaring 1920s with quite amazing stories of jailbreaks, bootlegging raids, allegations against the police department/local officials and essentially a small city's struggle to deal with the pressures of Prohibition similar to Chicago (without the gangland murders). 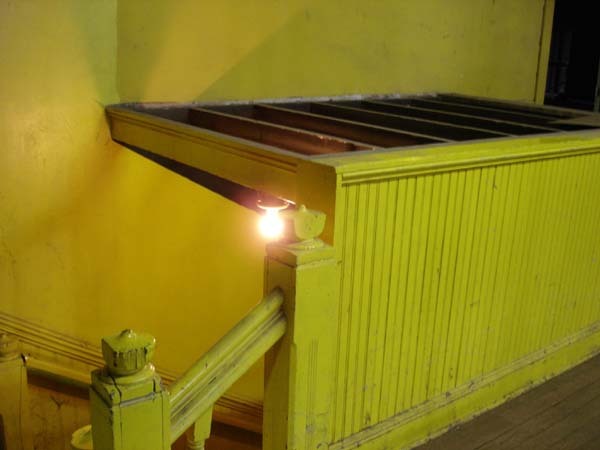 Stories related to a mysterious series of tunnels originating from Montrose Court and various other Prohibition-era establishments in Johnson City are a consistent part of the "Little Chicago" local folklore. The years Capone was present in Johnson City were likely 1924 - 1928 according to research by local historians. On one documented visit to the Atlanta Penitentiary to visit Al, Capone's beautiful wife Mae was accompanied by a lady from Johnson City. Biographies and research related to Al Capone have focused on gangster activities around Chicago and the drama associated with his eventual imprisonment for income tax evasion. Research into his alcohol distribution network and deal-making with moonshiners and suppliers from Canada to the Appalachian Mountains has never been undertaken. 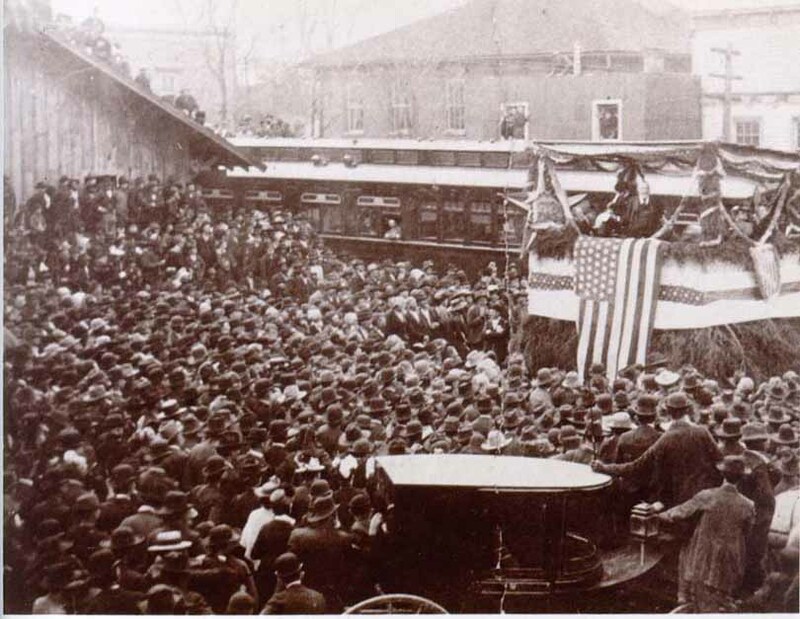 When was President Benjamin Harrison's visit to Johnson City: 1890 or 1891? Sharon, great question. A Johnson City Comet issue dated April 14, 1890 features President Harrison's visit. However, Ray Stahl's History of Johnson City publication indicates that 1891 was the date of the President's railway trip to the west coast and that the Comet had a printing error that incorrectly showed the year in its report. After researching this further it does appear that Mr. Stahl is absolutely correct as subsequent issues of the Comet in April 1891 chronicle the President's trip to the west coast with almost daily articles. In Johnson City a crowd of over 5,000 turned out to see the President which was an incredible feat for a town with a total population of slightly over 4,000 people. Here are the Comet articles on the President's visit as well as a transcription of his speech. Although Rutherford B. Hayes was the first President to travel to the west coast and back by train, Benjamin Harrison made the first "whistle-stop" tour with speeches at key locations and what is touted as the first trans-continental tour by a President. President Hayes used the railroads primarily on his westward tour (he went overland at some key locations) while Harrison used exclusively the railroads for his trip and combined the speaking tour that would be made famous by later Presidents such as Theodore Roosevelt. No. Congressman Walter P. Brownlow (who obtained the massive amount of federal funding necessary for the project) originally considered Greeneville, Tennessee, the largest city in the 1st Congressional District at that time, as the site of the Home (present day Veterans Affairs Center in Johnson City). Greeneville was given a choice of either the Soldiers Home or the U.S. Court House for their city. 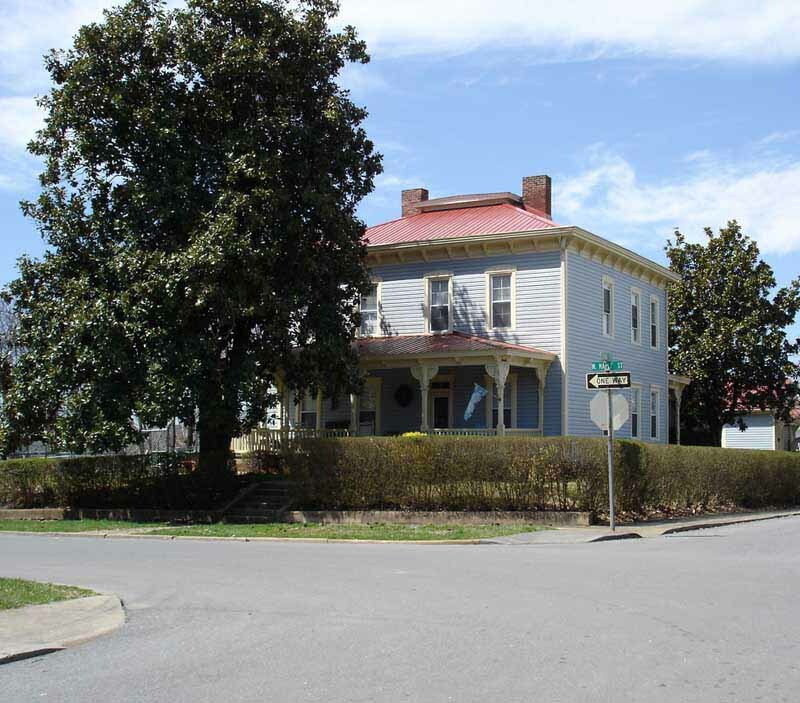 Following Greeneville's decision in favor of the Court House, Johnson City became the site of the Soldiers Home. 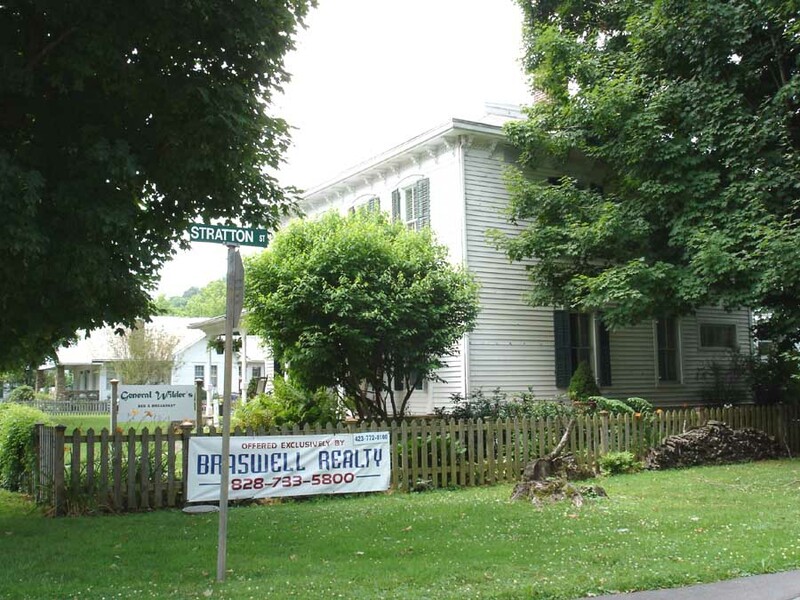 Speculation has occurred on this subject that Greeneville citizens may have been concerned of bringing in large numbers of very ill persons to the community given the crude state of health care and lack of antibiotics around 1900. It is also speculated that the scale of the project that Brownlow intended to build (an entire medical campus) was possibly not clear. 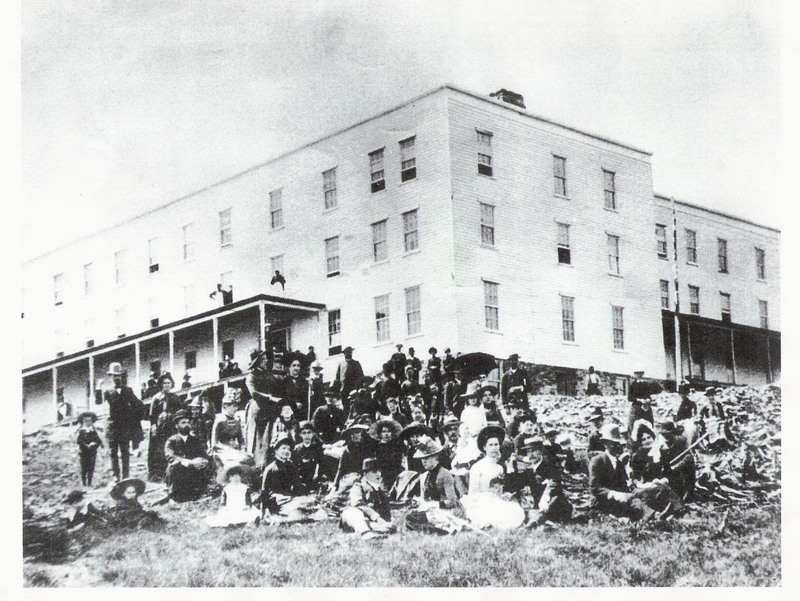 The National Soldiers Home was an unprecedented federal project for its time (particularly to be placed in a southern state following the Civil War) and led Johnson City's economic resurgence following the railroad financial collapse of the 1890s. 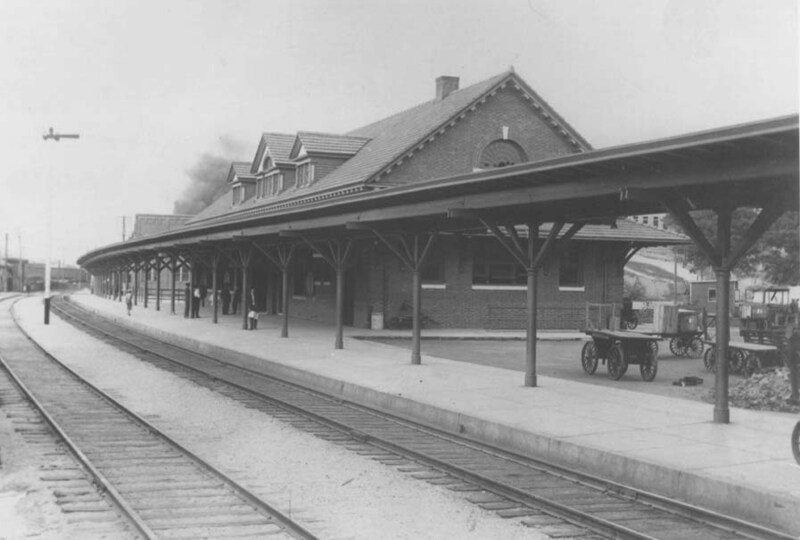 Why were there three passenger depots in Johnson City instead of a larger one serving all three railway systems? Prior to the 1893 financial crash that stopped John Wilder's 3-Cs Railway project (forerunner to the Clinchfield), Wilder had started construction on a massive "union" depot that could have served several railway lines. 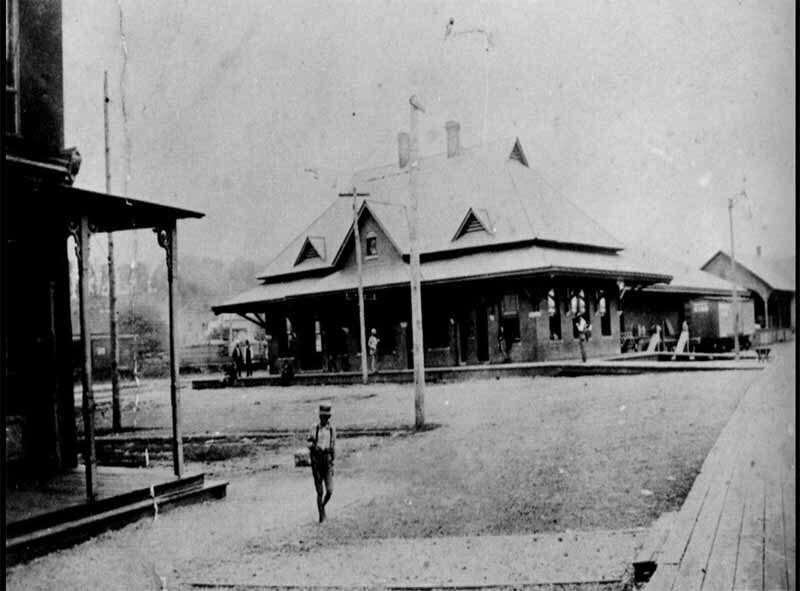 Wilder's union depot would have been located near the original Carnegie Hotel in East Johnson City. 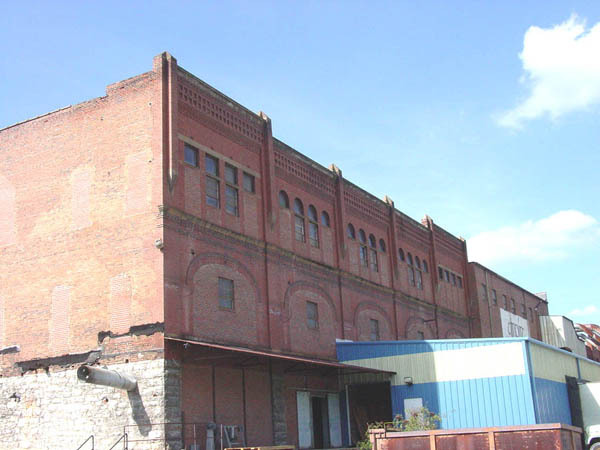 Both the Southern Railway and ET&WNC shared a depot from 1892 until 1912 (present Free Service Tire facility). 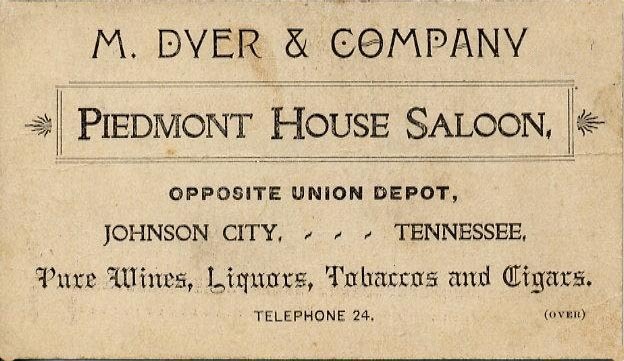 The shared depot was referred to as a "union depot" as evidenced by this saloon advertisement but in actuality was not of the scale envisioned by a depot typically classified as a "union" depot. Several histories recount that George L. Carter, President of the Clinchfield Railway, refused to participate in a joint venture with Southern Railway resulting in Southern building their own depot in 1912. There was a considerable rivalry between the Southern and Clinchfield for freight business for a period of time (often quite violent) and George Carter was said to be leery of direct partnering with his larger competitor. The Clinchfield Railway created a massive shortcut across the Blue Ridge Mountain range that dramatically affected freight distances and pricing and was the last new Class 1 railroad built east of the Mississippi River in the United States. 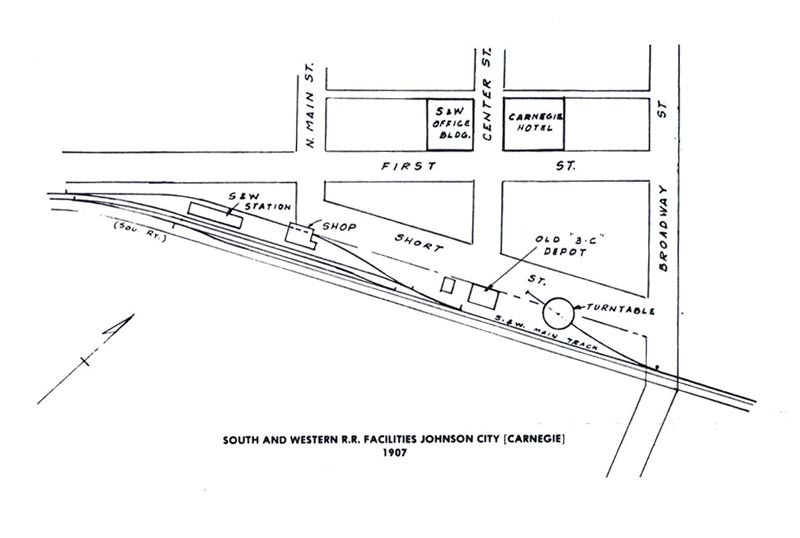 Johnson City's civic leaders strongly supported a union depot and development of more significant railway structures but this element was never achieved, leaving the 3 smaller depots (all within easy walking distance of each other) as the final result. Henry Johnson 41 years of age, his wife Mary was 39, children: Sarah age 15, Edward 13, John 11. 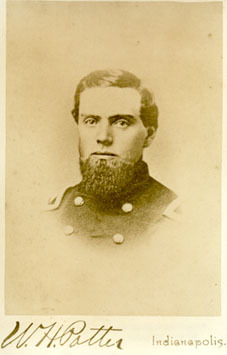 Both Edward and John fought for the Union Army in the Civil War and accompanied noted Federal scout and pilot Captain Daniel Ellis on a February 1864 trip to join forces in Knoxville. 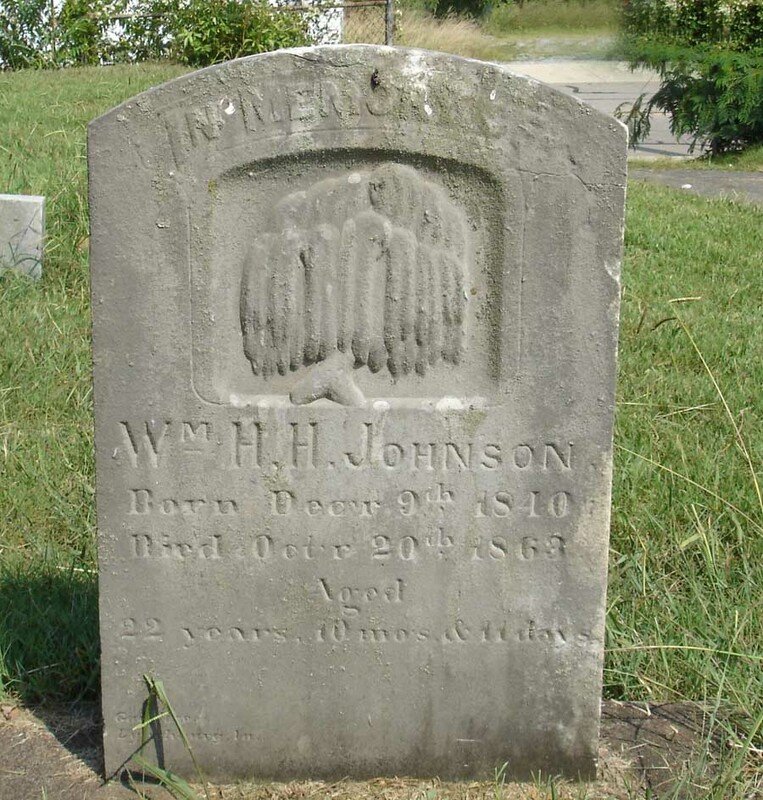 Johnson family histories record another daughter who died in infancy, and a son named William H. H. (Harrison) who died during the Civil War. Harrison Johnson is buried in Oak Hill Cemetery in Johnson City. Yes James, a surprising revelation was recently discovered in an Archives of Appalachia collection that was documented by the famed historian Samuel Cole Williams. Judge Williams in 1941, wrote a news article with the fact that Henry Johnson, in addition to being a merchant and a farmer, was also an inventor. In 1835 Henry registered a patent with the U.S. Patent Office for a threshing machine which separated the seeds of wheat plants from the husks and stems; the wheat seeds becoming grain, the stems straw. Read the article here. Another interesting discovery at the Archives are items in the Lester Moore Collection. Lester Moore was a great-grandson of Henry Johnson and his grandmother was Henry's daughter Sarah. 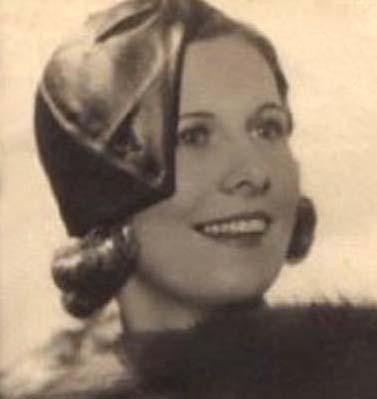 A number of family items and important Johnson genealogy can be found here. 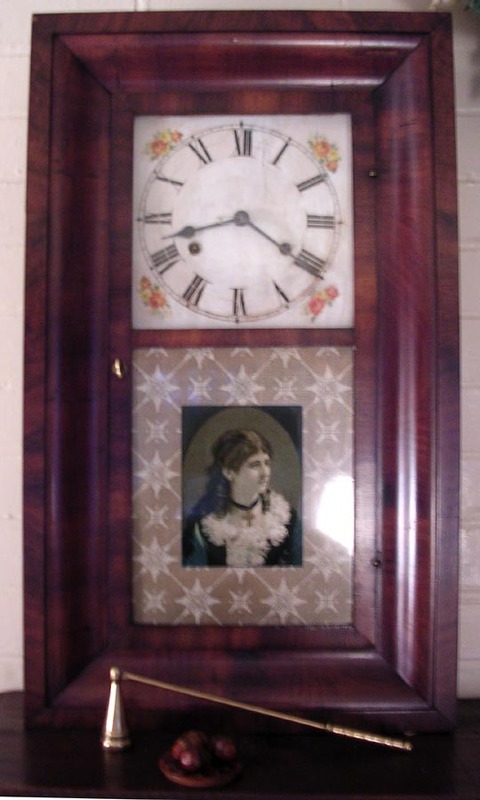 A note placed in a Seth Thomas clock owned by Henry Johnson (clock is shown below) indicates that Henry Johnson and future President Andrew Johnson migrated to Tennessee together from North Carolina. Family legends indicate the Johnsons were cousins but this has not been verified due to sketchy information on ancestors of both men. Their lifespans were amazingly similar. Henry was born in 1809 and died on February 25, 1874. Andrew Johnson was born December 28, 1808 and died on July 31, 1875. Larry, a Johnson City Press article detailed this longstanding mystery. The story as recently told to the Johnson Associates is that in April 1979, while the old high school was in the process of demolition two civic-minded gentlemen, who have elected to remain anonymous, saw the old monument (an arrowhead - shaped section of concrete with a bronze marker bolted in) lying on the ground and after passing by again later in the day saw the partially crushed monument being loaded onto a dump truck, presumably destined for the city landfill. One of the men asked if he could have the historic marker (bronze plaque)- and the construction crew said that was fine with them. The two gentlemen unbolted the marker from the concrete monument which would have been virtually impossible to move and salvage due to its weight. Since April 1979, the historic marker has been safely in storage wrapped in a soft protective fleece-lined sleeve. Here is a photo of Johnson City's historic Daniel Boone marker. It is thought that the hole in the marker was due to leeching from the limestone based concrete. The marker is in excellent condition otherwise. As noted in the news article, the metal used in the casting for the marker was from the Battleship - U.S.S. Maine. The Daniel Boone marker along with the Lady of the Fountain statue, and numerous historic railway artifacts have been preserved only due to the actions of heroic individuals who felt these items would one day have great significance to Johnson City's heritage and should not be destroyed. 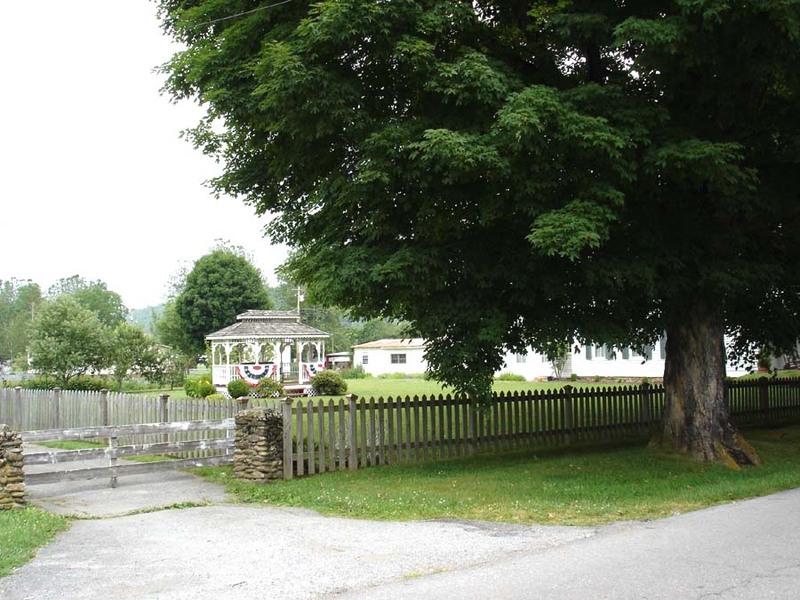 Note: The Daniel Boone marker was reconstructed and rededicated on June 6, 2006 in close proximity to its original location.